A powdered face wash that creates rich foams and hydrates as it cleanses. Take a 20-cent coin size on palm and add water to lather. Work lather on face and rinse off with water. Contains highly-moisturizing phospholipid polymers which form a moisturizing and protective veil over the skin. Rids skin of dullness by removing impurities and old skin cells containing melanin pigments. Protects skin from external aggression and leaves it feeling calm and dewy. 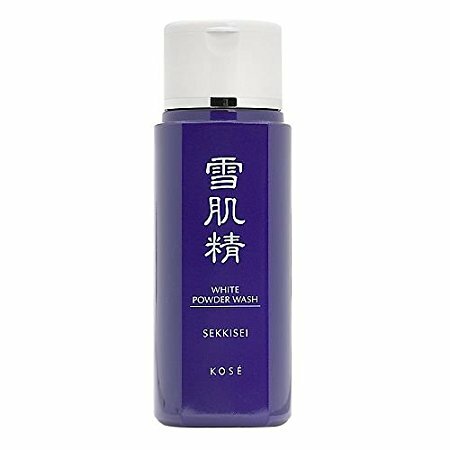 Fine, pure white powder wash that instantly foams into a luxurious lather.